Real Grouper. Reel Fresh.” is the key at Frenchy’s. Shortly after opening the Original Cafe in 1981, Frenchy realized he needed to catch his own fish to ensure maximum freshness and quality for his restaurant. 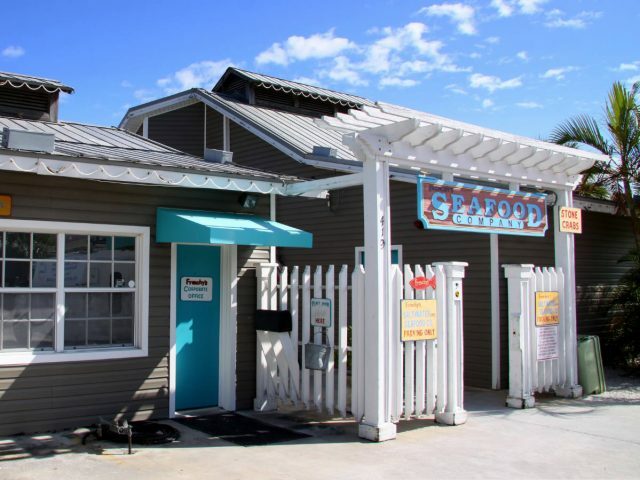 In 1983, he purchased his first boat and started Frenchy’s Seafood Company. Over the years, it’s grown into a fleet of commercial fishing boats that unload their fresh, line-caught grouper, snapper and other fish at the docks of Frenchy’s Seafood Company. The fish are weighed, cut and prepped for daily delivery to each of Frenchy’s restaurants to ultimately be enjoyed by our customers. What’s fresher than that?